With a huge amount of industry knowledge built up over 15 years, LRS roofing provide exceptional standards at great prices. 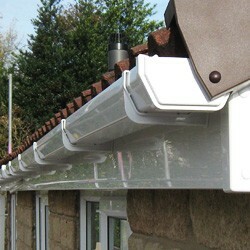 We will help Oughtibridge, Worrall and Grenoside homeowners whatever the size of the roofing project. We listen to each individual about your specific roofing requirements and have enormous experience in everything from roof repairs, felt roofing, Velux windows and much much more. All our work is covered by our superb roofing guarantee, meaning there's no need to worry knowing that your roof is protected if anything goes wrong. We offer great standards of workmanship and will listen to your every need from design to completion. Our highly trained roofers are all locally based working across Oughtibridge, Worrall and Grenoside. Give our team a ring right now if it’s a roofing professional you require in S35. In return you’ll get a no-obligation free quote on your roof work. Dial 0114 304 9116.